Construction is flying at Aria on The Bay as it nears halfway completion. 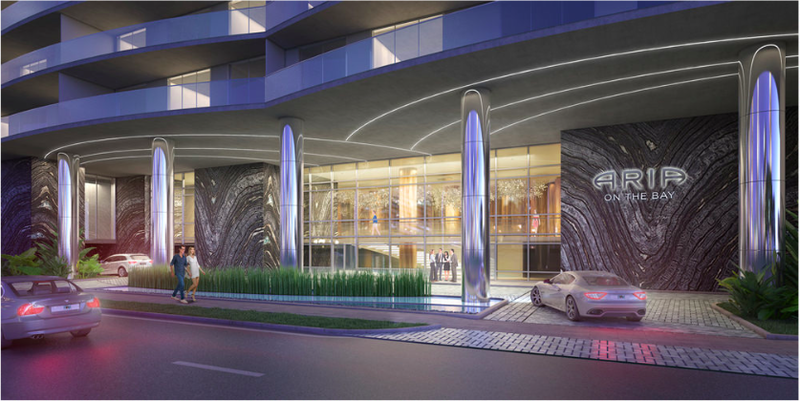 North Bayshore Drive in Edgewater is in for delivery of the new Aria On the Bay luxury residential high-rise development. Aria is being built by The Melo Group and is designed by Arquitectonica with a scheduled 2016 opening. Aria on the Bay will be a 50 story tower with 647 residential units and 40,000 sq ft of retail, commercial and office space on the first few floors. Residences range in size from 815 sq ft to 2,365 sq ft with large outdoor balconies. Residences also have 9 foot glass floor to ceiling. Lines on the east side of the building will have private elevators. There will be breathtaking views of Biscayne Bay and Downtown Miami with easy access to Miami Beach via MaCarthur Causeway, Julia Tuttle Causeway, Venetian Causeway as well as close proximity to Wynwood, Downtown and Brickell. Pre-construction prices range from $380K to $1.5 million.